One cold January, 20+ bloggers came together for 31 days to share 31 nourishing and detoxifying smoothie, juice, and soup recipes. The blogosphere buzzed with great new ways of upping the intake of fruit and vegetables to start the year off right. Gfree Mom’s January D-tox event was so well received that these 20+ bloggers decided to write and publish an e-cookbook—capturing these fantastic recipes, tips and tricks in one place. And so without further ado, we announce the release of Eat Fresh and D-Tox Your Life: A Collection of Smoothies, Juices, Soups and Tips for the Whole Family. Not only will this book provide you with inspiration to increase your intake of fresh fruits and vegetables, but it also benefits others. All proceeds from this e-book go directly to MitoAction. MitoAction is a Boston-based nonprofit helping children and adults with mitochondrial disease navigate the complex journey of managing the disease. MitoAction’s mission is to improve the quality of life for everyone affected by mitochondrial disease through support, education, outreach, and advocacy initiatives. You may read more about MitoAction here. Mitochondrial disease is a genetic, neurodegenerative disorder that occurs when the mitochondria fail to produce enough energy for cell or organ function. More common than cystic fibrosis, mitochondrial disease can develop in both children and adults and is often misdiagnosed. Mito symptoms are varied and progressive, and can include stroke, muscle pain, extreme fatigue, and organ failure. Mitochondrial disease is related to many other conditions, including autism, Parkinson’s disease, diabetes, and Alzheimer’s. A handful of soups, Detox Tips and More! 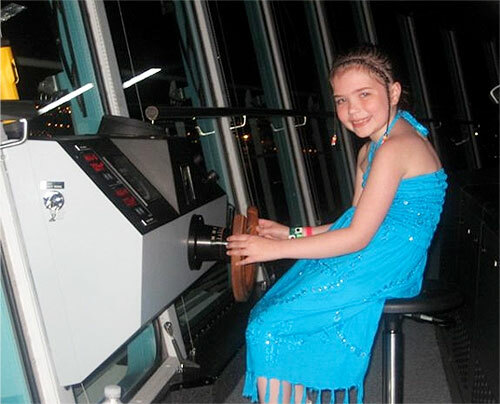 Diagnosed with Mitochondrial Disease, Gwen was not able to eat and had to receive IV nutrition. She has spent as much of her young life in the hospital as out, and was the recipient of a multi-organ transplant, which included a new stomach, intestines, liver, pancreas, and spleen. Today, as always, she and her family are fighting to help her live a healthy life and allow her to do as many of the things young kids like to do as possible. Recently, Gwen was to be able to savor a bite of banana! As food bloggers, we live and breathe food, so we’d like to dedicate this book to Gwen. If you would like to promote and sell this e-cookbook on your site, please feel free to do so. Use the content of this post freely (copy and images) and grab the badge below and link it to this URL. And THANK YOU for your support! This entry was posted in Blogger Community, drinks and tagged benefit, ebook, mitochondrial disease, recipes. Bookmark the permalink. Deanna, thank you so much for posting this and supporting the effort!! !